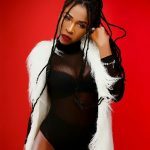 Another Diss song from AK Songstress directed at Kaakie , as she took to social media to dare her to mount 1 stage with her! . Take a listen , comment and SHARE .